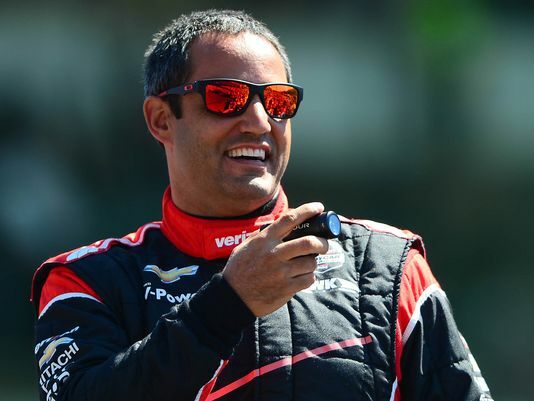 Introducing IndyCar’s Turkey Power: It’s best plucked, washed and Jay Fryed. 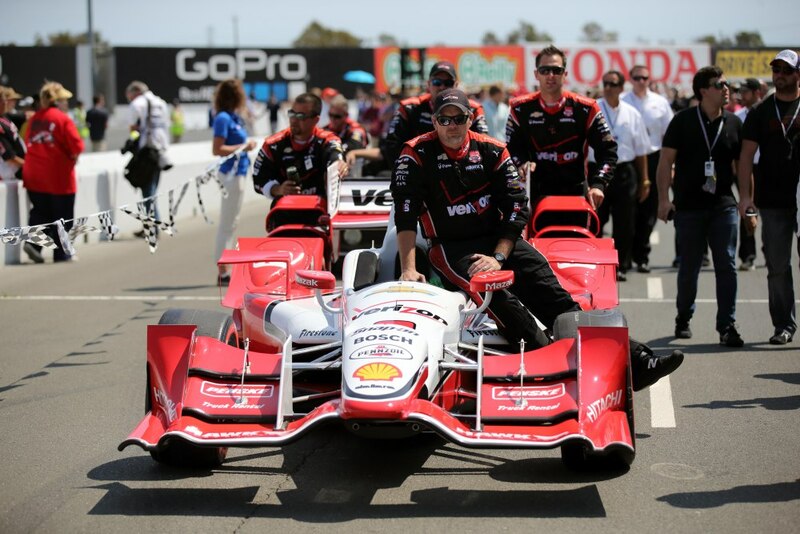 UPDATE: IndyCar finally heeded IRR’s advice and significantly altered its aero kits after nearly a year. 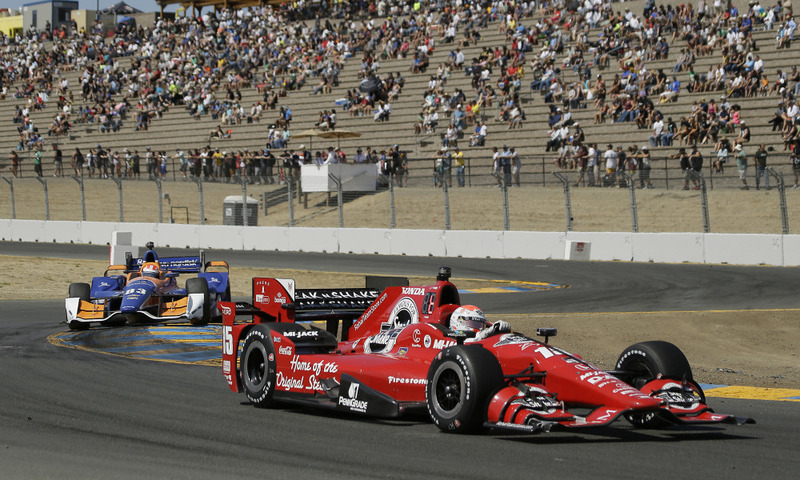 Changes include tethers, flaps, a domed undercarriage and a Rahal at Fontana change to new engine control units for pits stops. Read all about our long time take on the kits here and here. 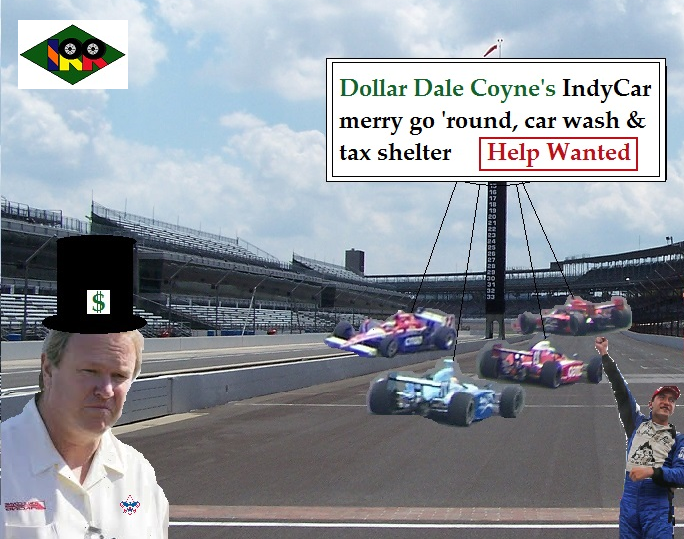 Needs More Sage: Distressing news emerged from the Ganassi camp over the weekend which had nothing to do with dressing. Mike Hull said a fourth car for next year is iffy due to a lack of funding, which means Sage “Wild Man” Karam could well be out of a ride, at least with Butterball Chip. 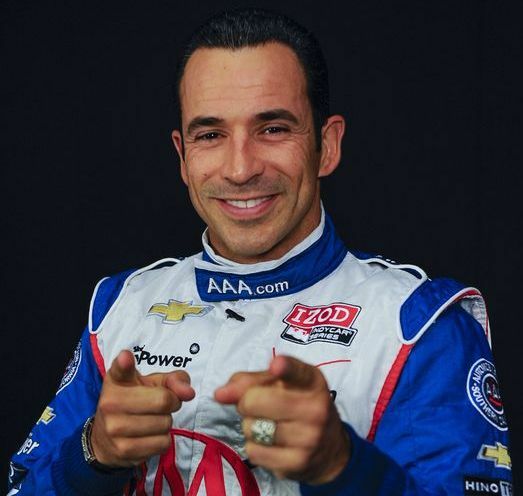 That’s disappointing, as the irascible rookie had a solid albeit partial season – Ed Carpenter, Graham Rahal and race control’s opinions notwithstanding. 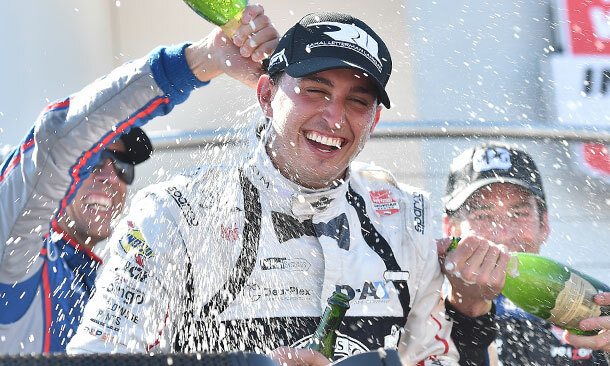 The probationary Pennsylvanian scored a couple of top five and top ten finishes, including a thrilling race to third at Iowa (of all places) for his first ever podium result. This PLUS impressively managing to piss off half the field, all within a mere twelve races. We say to hell with shirts, how about A RIDE for Sage? UPDATE: Former N@$C@R owner and University of Missouri (!) alum Jay Frye has been hired to replace ousted Competition CEO Derrick Walker, finally. 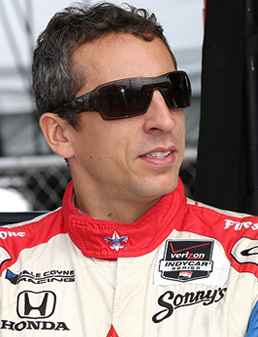 Walker’s exit was announced months ago after the exquisite race at Fontana. 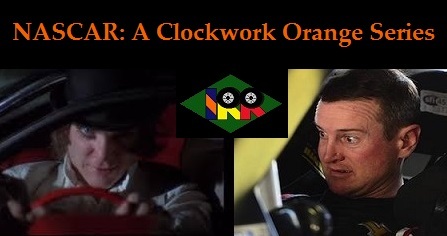 Frye enjoyed Red Bull backing in the ‘Clockwork Orange’ series and already had been working for IndyCar. 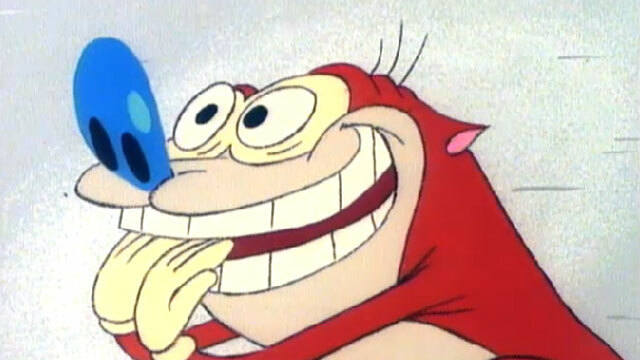 Of course when you’ve got major problems as a series, it makes perfect sense to hire from within. 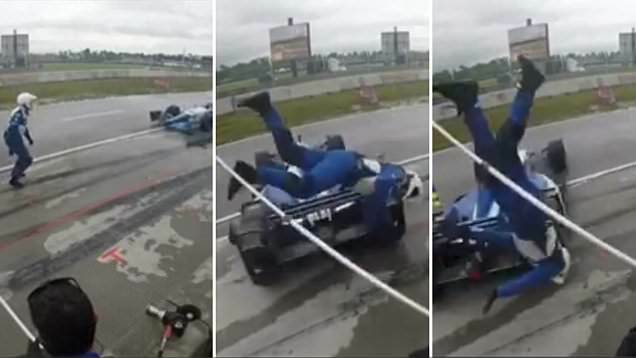 Flying Kits And Aero Fits: Renewed testing of the gawd-awful and downright dangerous aero kits will commence at Indianapolis next April, a mere month and a half in advance of the most significant race in history. Presumably this is an attempt to minimize cars flying through the air at the Brickyard as they did last May in a scene reminiscent of IMS’ early days as a US Army Air Corps aerodrome. No one can say Mark Miles and crew don’t learn from history, though it does seem to take repeated bashing over the head with it before finally sinking in. A tremendous effort by “Son of ‘Stache” and for the most part his crew earned the single car team high marks. RLL underwent a maturation from last year to this, growing into a certified championship contender. 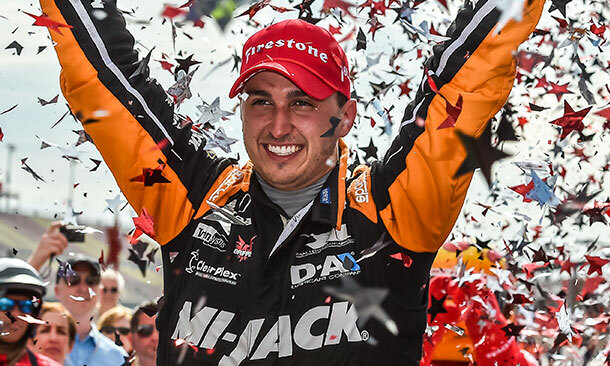 Improving three full letter grades, Rahal made the biggest turnaround in the entire paddock. This follows a dreadful season, another winless campaign and loss of a major sponsor. 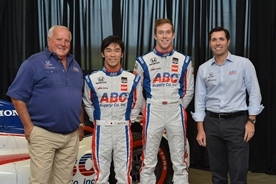 The diminutive team pulled off quite an achievement, especially considering it was all accomplished with Honda – and without a mustache. 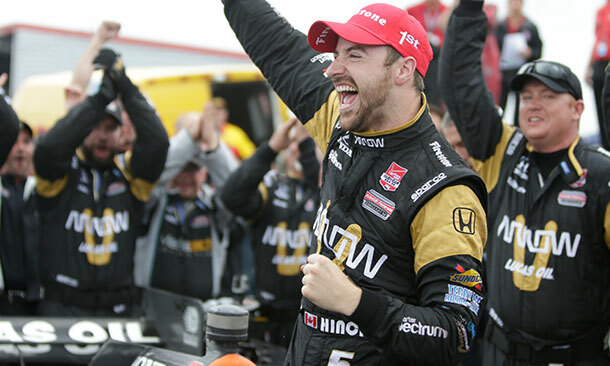 The series’ latest all American star – at least since Josef Newgarden in April – Graham won at both Fontana and Mid-Ohio, prevailing in the former with a fuel hose attached to his car for a portion of it. 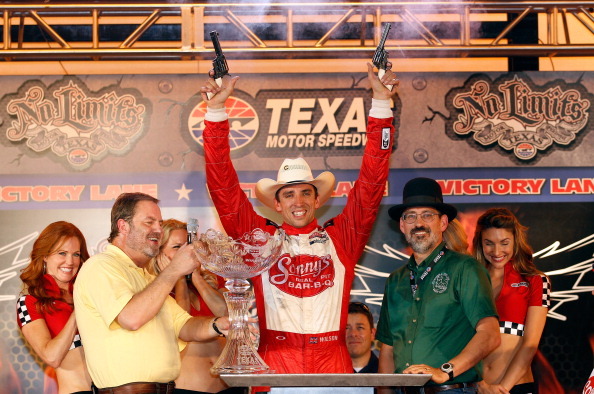 Certainly it can be said that he won at one entertaining race track, anyway. 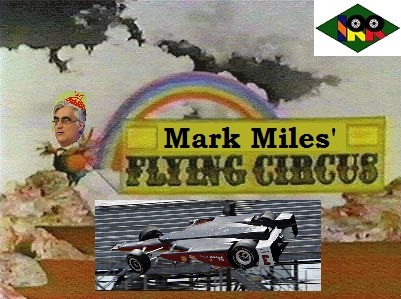 In fact he nearly triumphed in several more races coming within a whisker of doing it, finishing second both at Barber funnily enough and the Grand Prix of Indy – the 500 it isn’t. 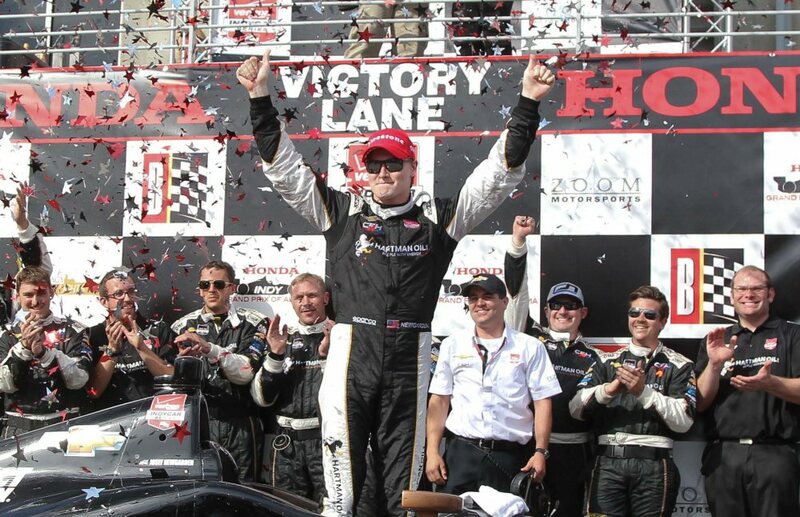 Ryan Hunter-Reay crossed the finish line first for Andretti Autosport at Pocono Sunday evening, but there were no celebrations and no confetti in a subdued victory lane. 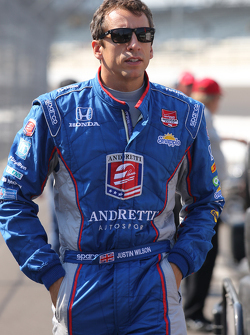 His team mate Justin Wilson had already been airlifted to the hospital and as yet no one at the track knew his status. It was the strangest scene after a race in memory as a pall hung heavily over the gathered crowd. 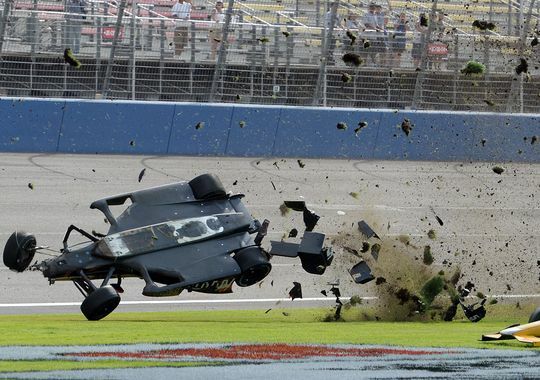 Wilson was hit in the head by debris from Sage Karam’s car, which disintegrated when he spun and hit the wall while leading the last portion of the race. 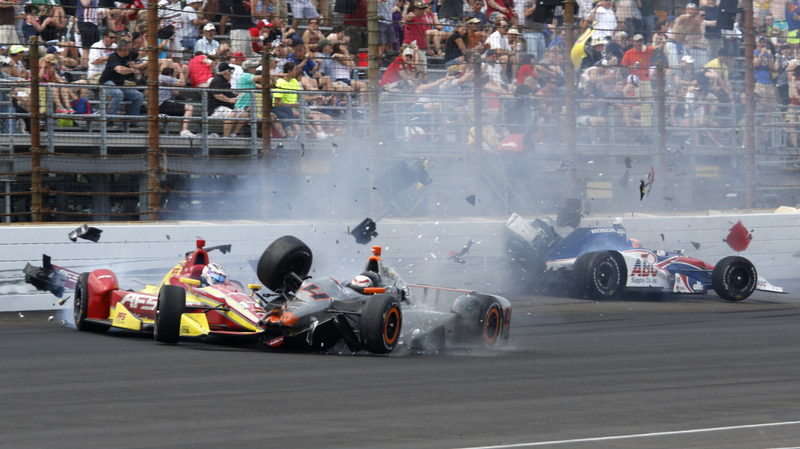 Karam injured his right foot in the wreck, but he got off lightly compared to Justin. 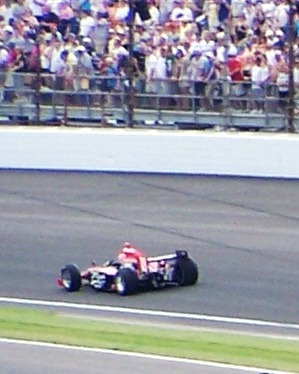 Slumped forward in the cockpit, Wilson was clearly already knocked unconscious as the car hit the inside wall and came to a stop. Today Wilson remains in a coma in critical condition. Sadly Justin passed away Monday night. Our thoughts and prayers are with the Englishman’s family.